Join Dave and Skradie at these locations for drink specials and giveaways. 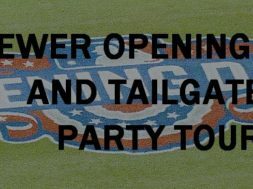 Register to win a mini grill from Ace with meat to grill on it from Bubba’s Meats, a cooler from Ace with beer from the PSB to put in it, and also a pair of BREWERS OPENING DAY TICKETS! that will be given away at 6:00 at each stop!!!! !